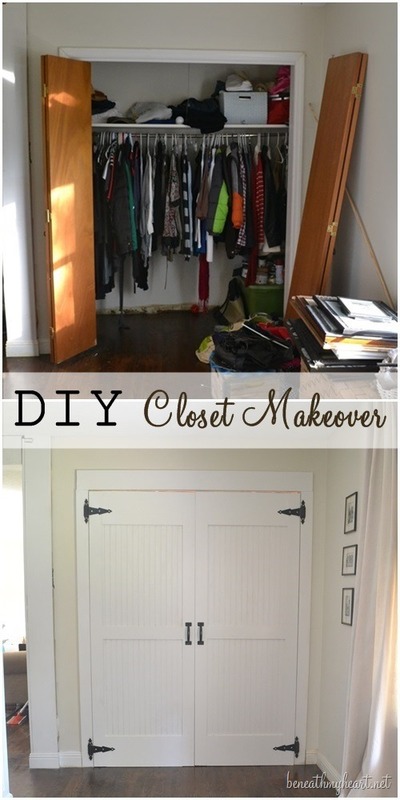 Last year, I showed you a makeover I did on the exterior of our hall closet, but I have never shown you the inside. 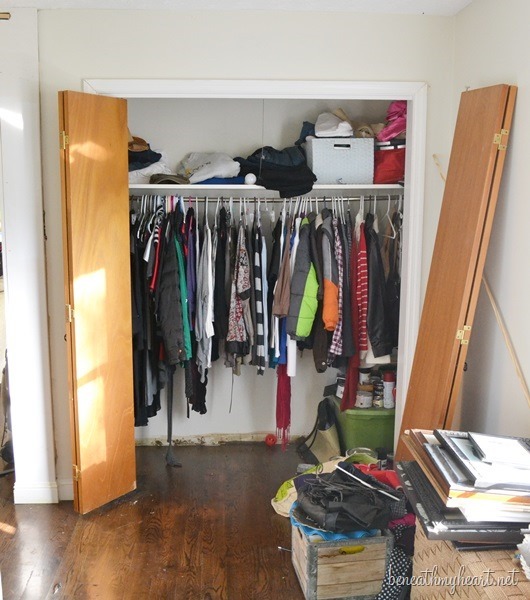 Well, I did show you the “before” of the inside of the closet, but I never showed you the “after” of the inside of the closet. 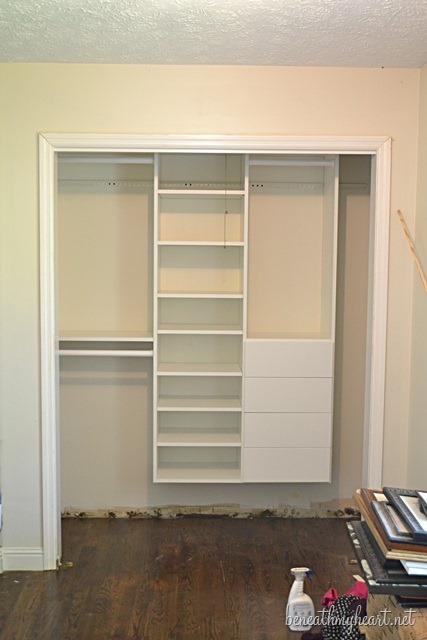 I used an Easy Closet system to re-do the inside of my closet, but here is the cool thing. It was FREE! I worked with Easy Closets for my master closet makeover, and they accidentally sent me an extra closet system for a smaller closet. I contacted them to let them know, and they said since it was their mistake I could keep it! Say What?!! I was thrilled! And I was even more excited when I realized it fit our hall closet perfectly! With the Easy Closet system, I was able to create three bar spaces, lots of shelving, and even some drawers! Love that! I cannot believe how much storage I have in this closet now! The left side of the closet holds my out of season clothes, and the middle shelves hold photo albums, décor items, and some home videos. The upper right side holds tablecloths, and the drawers below hold wrapping supplies, like tissue paper and gift bags. I also have a “junk drawer” full of miscellaneous stuff that needs to be organized. We all have one of those, right? I still have some organizing to do against the wall on the right. Right now, I have some large picture frames and artwork stuffed in there. The back of the doors hold a lot of space, so I added a belt holder for all of the boys belts that I find laying all over the house. I plan on adding another one for their ties. Eventually, I want to organize this space even better with cute matching baskets on the shelves and handles on the drawer, but I don’t have time for that right now. And no one really sees the inside of my closet except for me. I’ll save that project for a rainy day. For now, I am thrilled with my more organized closet! 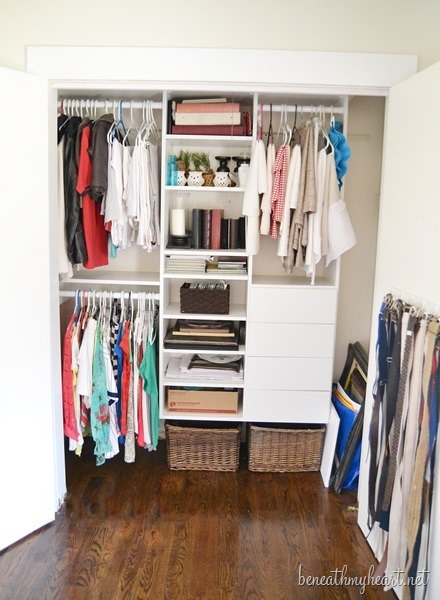 Do you have a closet in need of a makeover? The doors alone make a huge difference. How beautiful. I know how it feels to finally get organized. When you finally give everything a “place” it’s amazing how much more room you have. I love how the closets turned out. I will comment that in your master closet….if you’re as OCD as me…I grouped all my shirts together by color and have found it’s much faster to find a white shirt grouped in with all the whites rather than going through each shirt. Keep up the great work. That looks fab-u-lous. 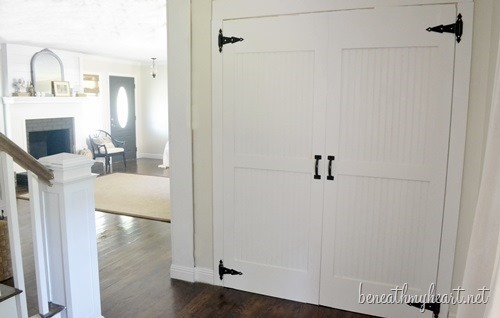 I love those closet doors. I have to revisit how to make them. That is probably my favorite project that I’ve seen you do. Hope SFO was a good time for you, and glad you’re back safely. Go Wildcats! You have worked so hard on your home – and it is lovely – every space has turned out so nice! I was thinking yesterday…there are five blogs I read daily…yours is one. I always know that when my day is a bit ‘blue’, or life gets so hectic and difficult, I save your blog for those times…then I read your daily post and those that came before…my spirits are lifted then. Your positivity thru your own daily walk, means so much to me. I get ‘fed’ inspiration of many ways – faith, hope, charity…and a lot of creative ideas to help make my daily life less hectic! Thank you Traci, for your blog, I know how much hard work is put into it on a daily basis! If I could, I would give you a hug in person…since I cannot, consider yourself hugged! I feel so blessed to have so many wonderful readers who support and encourage me each day. 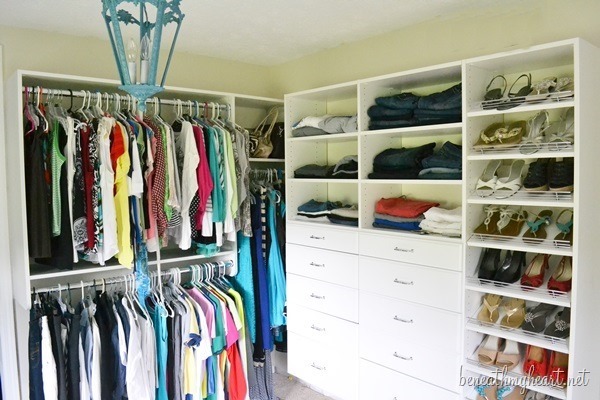 Your master closet inspires me to finally get around to organizing my own, it just looks great.